Now, you can get $587.96 of Auto Repair Services for just $149! You pay one low price now and get all of these services done for you when you need them. It’s a steal. *Synthetic Oils, Diesels & More Than 5 Quarts, Additional Charges May Apply. 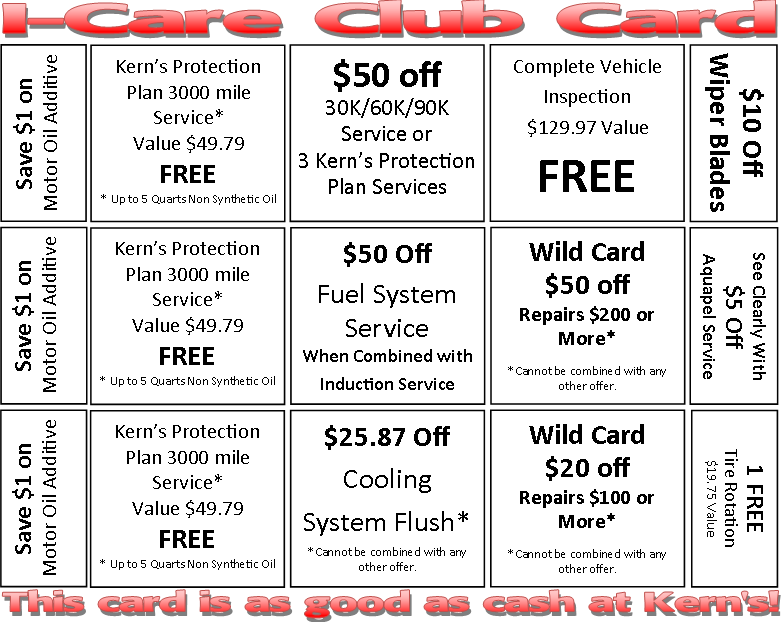 Yes, I do want my own new & improved I-Care Club Card for just $149! I want to start taking advantage of the free oil changes, free towing & roadside assistance*, and massive savings I'll be entitled to as a card holder! *Activated after your first service.